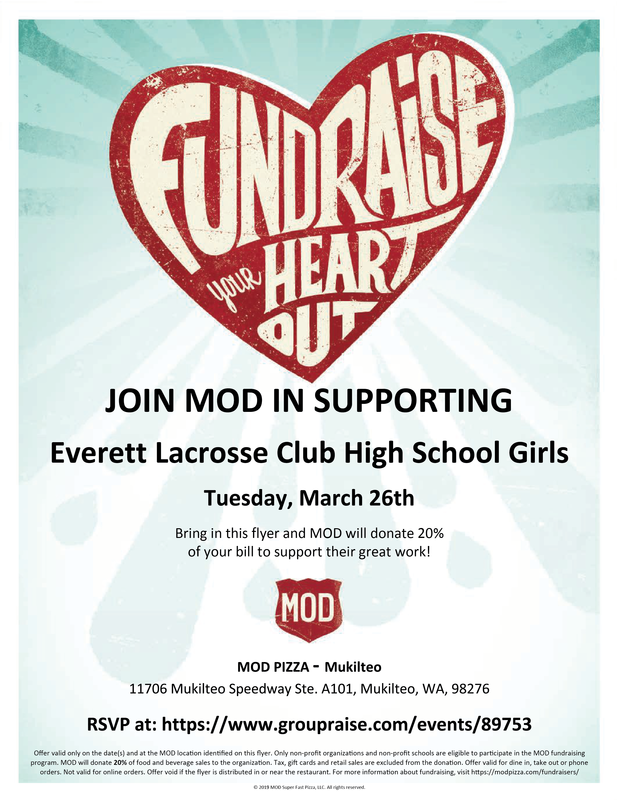 Come support our Everett Girls HS Lacrosse Team by dining at MOD Pizza! Two dates available! This fundraiser is valid all day during MOD's normal business hours of 10:30am and 10pm. Bring in our flyer and MOD will donate 20% of your bill to support our Varsity Girls team! Click for full size flyer!